Walmart has a 27-inch Dell 1080p FreeSync monitor for $119, while Newegg has a more deluxe 27-inch FreeSync monitor for $200. Yesterday, we showed you how to get the cornerstones of an awesome AMD budget rig on the cheap. Today, we’re making that combo even better with your choice of two 27-inch, 1080p FreeSync monitors. Walmart is selling the Dell SE2717HR for $119Remove non-product link, while Newegg has the curved, 144Hz Acer ED273 for $199Remove non-product link with the checkout code EMCEEES35. The Dell monitor has an MSRP of $200, while the Acer’s MSRP is $300. Both are good deals, but there’s quite a price difference between the two, and for good reason. The Dell model at Walmart is an IPS display with a 75Hz refresh rate, a 6 millisecond response time, and a 178-degree viewing angle. That’s great on its own and FreeSync works all the way up to 75Hz on this display. 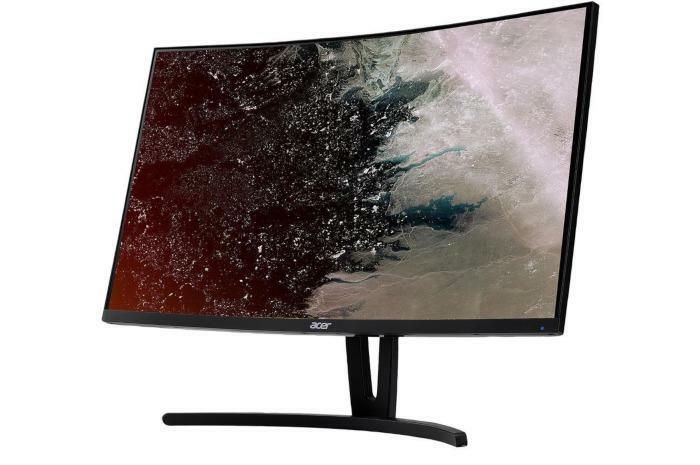 The Acer at Newegg, by comparison, is curved for a more immersive viewing experience and has a much higher 144Hz refresh rate. It also offers 4ms response time, and the same 178-degree viewing angle. That higher refresh rate is arguably the bigger feature. It means the Acer display can handle faster refresh rates quite well on its own, but AMD says the FreeSync refresh rate range goes all the way up to 144Hz. When you pair this monitor with a compatible AMD Radeon card, that means you can get a buttery smooth gaming session even when you’re rig is producing frame rates well beyond 75 frames per second. The bottom line is that if you can afford it, you can’t go wrong with the Acer model. Those who need a solid monitor at a great-yet-affordable price, however, should go with the Dell at Walmart.